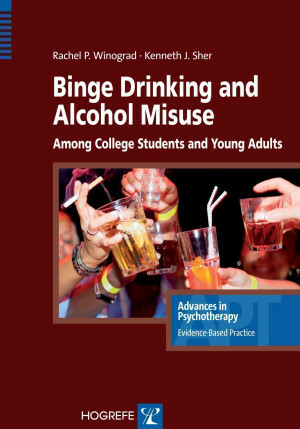 This book provides clear guidance about effective, evidence-based approaches to treating alcohol misuse in young adults. Heavy drinking – and its associated problems – are an integral part of many college students’ and other young adults’ lives. Though some young drinkers are able to consume alcohol without incident, many face significant negative fallout from their excessive consumption. This volume in the series Advances in Psychotherapy: Evidence-Based Practice describes the nature of alcohol misuse, its epidemiology, its causes, and methods for treatment, specifically as they pertain to college students and other young adults. It provides practitioners and trainees with a range of evidence-based treatment approaches to help clients change their alcohol use habits. The information presented is both thorough and concise and will help readers with varied backgrounds and experience improve their understanding of the many nuanced factors involved in assessing and treating problematic drinking in young adults. "This volume covers binge drinking and alcohol misuse among young people, providing an excellent guide … a much needed, up-to-date resource on effective psychological and pharmacological treatments. The authors review the DSM-5 and ICD-10 diagnostic criteria, current theories and models, prevalence rates, assessments, and treatments. All of the books in this series are written for a wide range of mental health professionals, but psychologists and psychiatrists will benefit the most from the wealth of knowledge in this volume. A wonderful feature of the books in this series is their usefulness across clinical, research, and academic settings." "A refreshingly accessible quick read, while also providing an incredible wealth of information about alcohol misuse in young people. "The authors have carefully constructed a book that provides exactly what the clinician or researcher might be looking for in a resource guide that focuses on assessment and treatment of alcohol misuse ... useful both for individuals novice and well-versed in this topic area. "The book includes clear descriptions of the most widely used assessment techniques. "For treatment options, the authors provide many evidence-based and empirically supported possibilities. "In sum, this book is a comprehensive resource guide that is based on the highest quality scholarship on alcohol misuse available. This is not surprising given that the second author (Sher) has published some of the most influential empirical papers that have significantly improved our understanding of alcohol misuse in young people. Given the significant public health burden of alcohol misuse in our society, this book is a must-have on the shelves of both college and public libraries. Winograd and Sher have authored an excellent resource guide that emphasizes practical and cost-effective approaches to dealing with this problem." "The authors have assembled a helpful resource for clinicians in counseling or health centers, filling a gap in the clinical literature. The clinical tips for optimizing clinical interactions with college drinkers and the guidelines for assessment and treatment planning will be particularly useful to college health professionals." "This outstanding resource thoroughly and thoughtfully presents the current literature on the nature and characteristics of young-adult alcohol misuse as well as research-based methods and strategies to assess and intervene with this important population. Sprinkled throughout the text are insightful and accessible clinical pearls that will deepen readers’ understanding of how to address alcohol misuse among young adults. An important book for college administrators, professionals, as well as researchers in the field of college student drinking and misuse." "I really like this book! It is everything it promises it to be: evidence-based, well written, reader-friendly, and easy to use. It is an excellent guide for professional clinicians, complete with practical tools and resources, while also providing a comprehensive and current literature review for teachers and scholars interested in binge drinking and alcohol misuse among individuals of all ages."